There really is a difference in hospitality management companies. PWP's difference is seen by the service and approachability that they provide their owner's, associates and guests. PWP is a leading hotel management company in the southeast and has been recognized for their broad scope of operating small room's only hotels to large resort condo hotels. 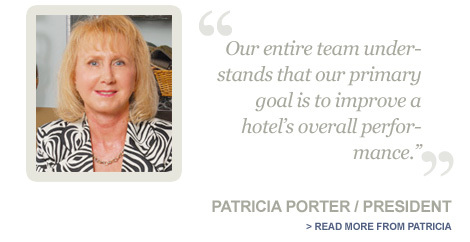 PWP has been recognized for their management and development of award winning hotels. Some of those honors include "Inn of the Year, Gold Award Hotels, Best of the Beach Family Resort and the coveted Platinum award." While awards and recognition are gratifying, at the end of the day, they understand it's about improving a property's overall performance and returning a strong profit to the owner. PWP Hospitality Group has over 30 years' experience in the design, construction, and operation of franchise, non-franchise, corporate, and resort properties. Using a time-tested set of simple business standards, we are committed to service excellence resulting in maximized profitability and asset value for our clients. Our success is the result of innovative systems, solutions, and the quality of our relationships with those we serve.